This 35-year old male from Cleveland, TN presented with leg pain, swelling, and fatigue that has been worsening for many years. He has a strenuous job requiring him to stand for long hours and a family history of vein disease. 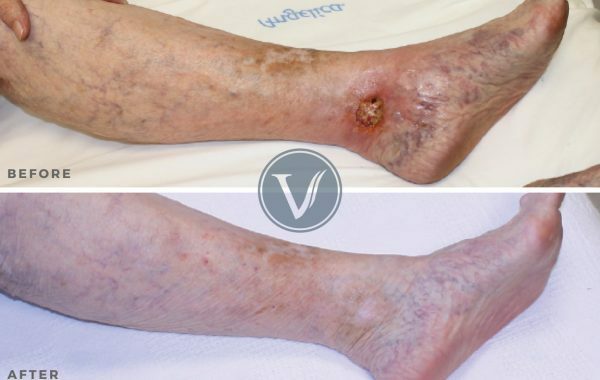 Dr. Gardner established a treatment plan and treated him with modern endovenous procedures to eliminate his incompetent superficial veins. These after photos were taken at 2 months. The patient reported that he was very happy with his improvement, especially the resolution of his leg pain and swelling.